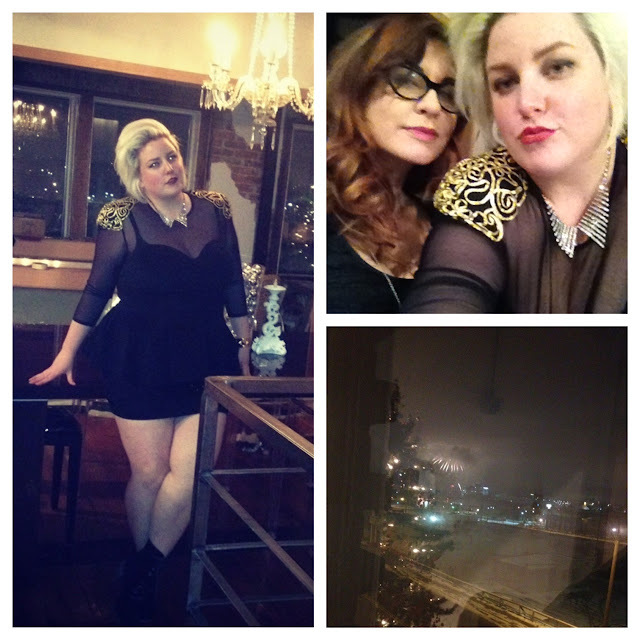 Here are a few shots from my NYE night and outfit. It started out as a stressful one with my basement totally flooding (i'm talking like 3 inches of water). Incidentally that is where I have my closet with all of my clothes and shoes. So most of the night was spent bringing up all our storage and my closet up stairs. They were able to vacuum the water out by about 10:30. Since I was not in a good mood I had grumpily decided to not go out at all even thought I had so been looking forward to it. After a bit of rallying, I hastily got ready and met my BFF Zoe and a few friends downtown and ended up having an awesomely chill NYE night in my amazing 80s peplum number. Most of my highlights this year have been focused on my time and work with Lucky Magazine and cant wait to continue my work there. Every year I have these notions of my resolutions for the year and a few months in they have faded like most notions do. 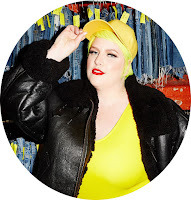 So to help change that, this yer I wanted to state my current NYE resolutions on the blog to in a way hold me accountable. 1. My first resolution like a lot of you is to get a little healthier. I want to start integrating more organic foods into my diet and juicing more. I would love to become gluten free! I have no problem being plus size I would just love to definitely be more aware of what I put into my body. 2. Second to not procrastinate with my goals and successfully start an e-commerce business. Like some of you know I graduated with my MBA in 2012 and it has been a goal of mine since I began the program is to start my own business. I love styling and vintage clothes and have been working on getting a vintage clothing e-commerce start up running. 3. My third and final resolution is to travel more and become more bi-coastal while integrating my travels into my blog.